Among the interminable and ill-advised ‘jokes’ by host Jack Whitehall, and questionable performances by some, there were a few glimmers of hope during this year’s Brit Awards, which were held last night (February 20). For example, as The 1975 took to the stage to collect awards for British Album of the Year and British Group, the band used the opportunity to read a few sentences written by The Guardian‘s Laura Snapes about male misogyny within the music industry, which she wrote in response to the recent allegations made against Ryan Adams. It was an arresting, if all too brief, moment. Elsewhere, Beyonce and Jay-Z collected their award for International Group while standing in front of a portrait of Meghan Markle, echoing their visually stunning video for APESH*T.
However, many people are praising Jess Glynne for one of the most inspirational moments of the awards ceremony. The I’ll Be There singer took to the stage to perform her latest single Thursday, with the staging of the song resonating with many fans and viewers. The track is a paean to self-acceptance, in a similar vein to Christina Aguilera’s Beautiful for example, with lyrics such as: ‘I won’t wear makeup on Thursday / ‘Cause who I am is enough’. Taking a rather literal interpretation of the lyrics, Jess appeared on stage with a group of around 70 other women – made up of influencers and models – as they sat in front of ring lights and all removed their makeup. For many, it was the standout point of the evening, and fans were quick to praise the song and performance for its positive message. Powerful message and powerful performance for all the powerful women all around the world by a powerful woman, @JessGlynne. Such a beautiful performance and one that will be iconic. It’s so special to see performers like you break the stereotypes and make other women feel empowered. Makes me emotional. Gutted you didn’t win tonight, but we all know you’re a star and your future continues to be bright. Such a beautiful performance and one that will be iconic. It's so special to see performers like you break the stereotypes and make other women feel empowered. Makes me emotional. Gutted you didn't win tonight, but we all know you're a star and your future continues to be bright. Amazingly strong message to all the women/young girls especially out there that worry that they aren’t enough or look good enough! Loved it. 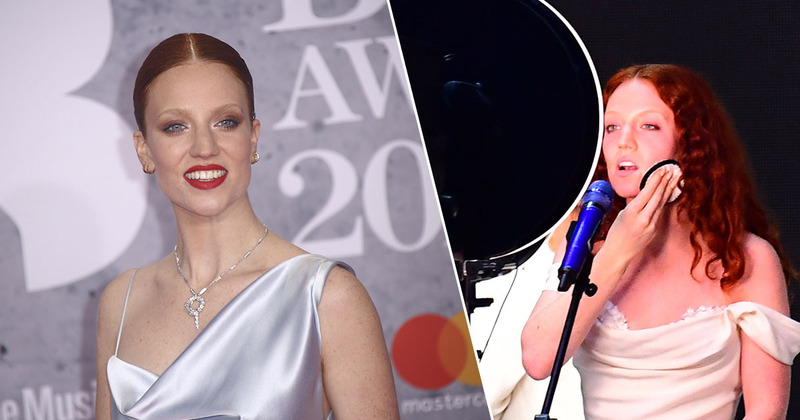 Although she may not have walked away with a Brit award at the end of the night, it seems Jess Glynne made a sizable impression on the ceremony nonetheless.